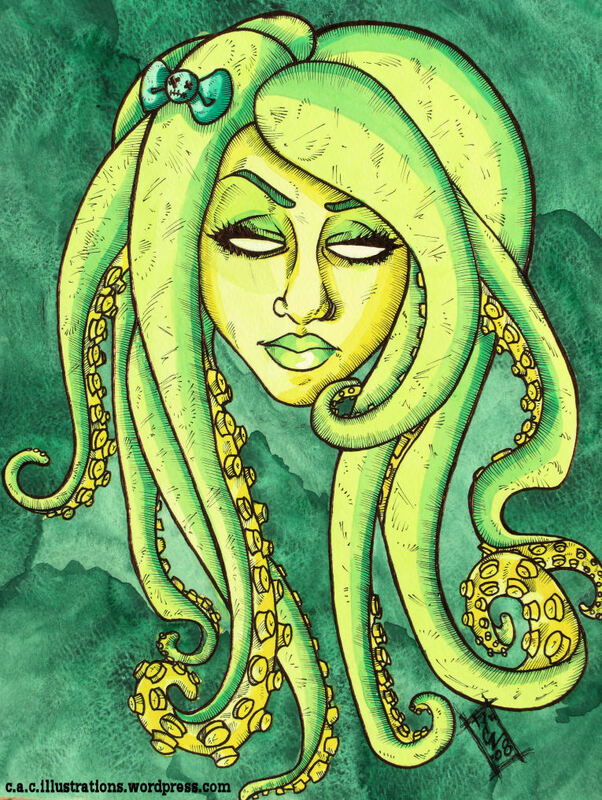 This entry was posted in Artwork and tagged art, ballpoint, caricature, painting, pen, tentacles, watercolor. Bookmark the permalink. I like this a lot… it has humor, but also a kind of melancholy seriousness to it, too.. very well done, I’d love to see you do more with the octopus/human thing, it’s pretty fascinating. Thanks John, I’m hoping I captured some of the reference’s personality in this one. As far as the tentacled go, I’m not sure whether it’s some sort of minor fixation or something much deeper rooted and disturbing. Time will tell. Thanks again!